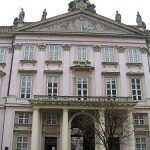 The Primate’s palace in Bratislava was built between 1778 and 1781 for Archbishop Joseph Batthyany. Inside you can find the famous chamber, the Hall of the Mirrors, which has played a significant role in important historical meetings. 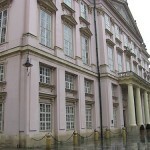 Here they signed the “Peace of Pressburg”-treaty in 1805. 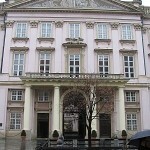 The building is built in neo-Classical style and some people claim it to be the most beautiful sight in all of Bratislava.